Kerry Dunnington is not my BF, but I wish she were. 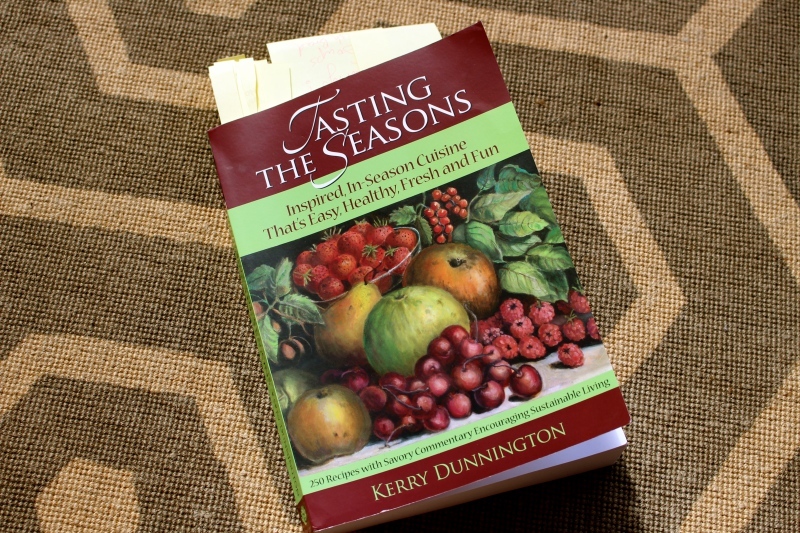 Her lovely recipe book, ‘Tasting the Seasons, Inspired, In-Season Cuisine That’s Easy, Healthy, Fresh and Fun“ is filled with little recipe gems that say “Make me!” I couldn’t get past the appetizers without selecting half a dozen candidates. 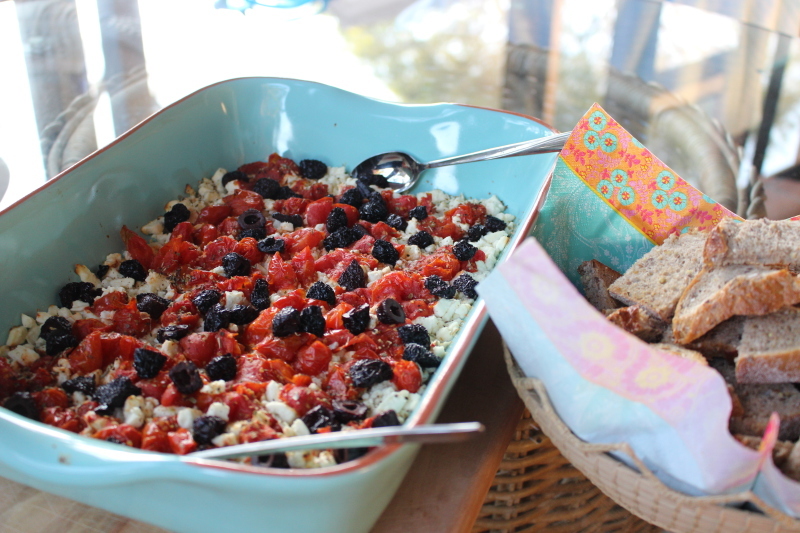 Baked Feta Appetizer with roasted tomatoes and black olives beckoned the loudest. I think that I managed to make several new friends while sharing it at a neighborly holiday potluck yesterday. Preheat oven to 400F. Roast cherry tomatoes for 25-35 minutes with a little olive oil and coarse salt. If using regular tomatoes, slice them before roasting. Preheat oven to 350F. Cover the bottom of a shallow baking dish with feta. Top with roasted tomatoes. Add olives. Sprinkle with oregano and pepper. Bake for 20 minutes. Allow to cool slightly before serving. Serves 10-12. Serve with lightly toasted crusty bread or for a sit down starter, serve on top of steamed greens or pasta. Many thanks to my brother, Eric Botner, who provided his outstanding Earth Circle Organics pitted Botija olives from Peru. These olives are super to snack on and delectable in this Baked Feta Appetizer. Wondering what the 20 top food trends are for 2015? 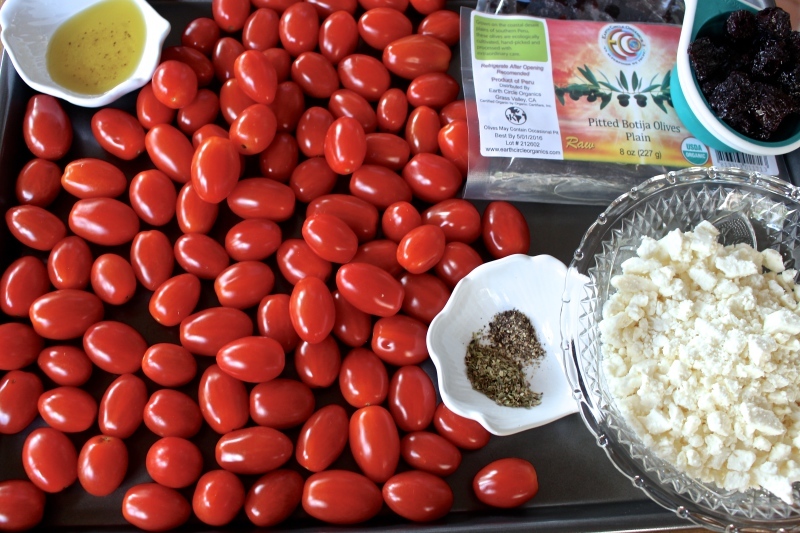 Check out Kerry Dunnington on FB and stay tuned to JC for more KD wonderful recipe shares. Happy New Year everyone! Wishing you a delicious year.